Many of you are asking "How can I help", or, "Is there some type of funding account setup"? On behalf of family and friends this is what we would like to do to honor Joey. We would like to dedicate this Go Fund Me account to two things. First, this account will go to cover the funeral expense. Most importantly, our wish is to do something we know Joey would want. With that being said ANY AND ALL funds raised from this account that are left after the funeral costs are covered will solely be dedicated to "Disabled American Veterans (DAV)" in honor of Sgt. Joseph Nordstrom. Sgt. 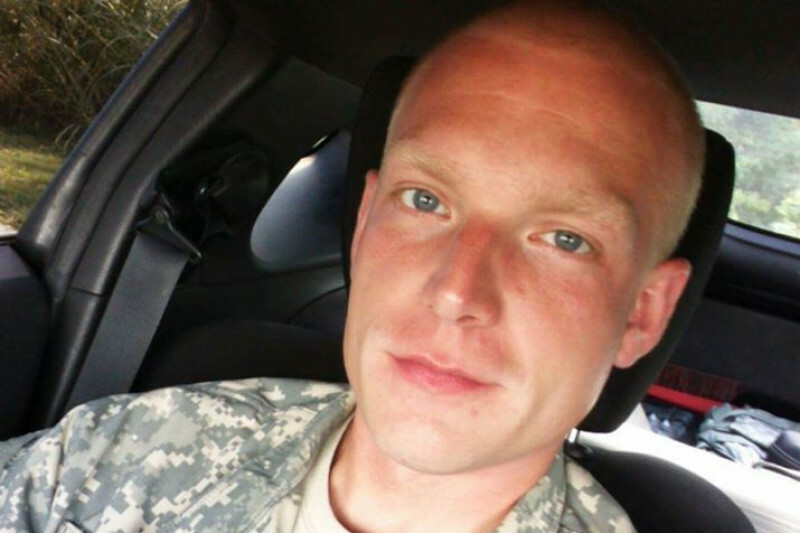 Joseph "Joey" Nordstrom was a 11 year veteran of the Army National Guard. He enlisted as a generator mechanic and also completed a four month certification to become a black hawk mechanic in November 2017. He served one tour in Afghanistan as a generator mechanic/radar. He was scheduled to deploy again this year to go back over seas for a second tour. Joseph was struck by a hit and run vehicle on 2/24/18 at 3:30am while walking down the side of Southeastern Ave. The vehicle hit both Joseph and his girlfriend Angie. Joseph was pronouced "brain dead" by doctors a few hours later which marked his time of death. At that time we found out Joey was a organ donor. Instead of taking Joey off the ventilator at the time of death, he was kept on it to keep the usable organs valuable. After several searches they had found recipients for Joey's heart, liver, and kidneys. At 4am on 2/26/18 Joey was taken out of his room and taken to the operating room to recover his organs. Joseph, even after his death, was able to still help people. This is what he lived for! His pride and commitment to the USA and helping his fellow Hoosiers was undeniable. Any amount you would like to give would be appreciated by those who love Joey as well as his fellow soldiers. We would love to see this account grow so to be able to make a considerable donation the Disabled American Veterans. On behalf of Joseph Nordstrom's family and friends we thank you for your love & support.